Your most precious scissors should stow in such a pretty case as Tuck Away. 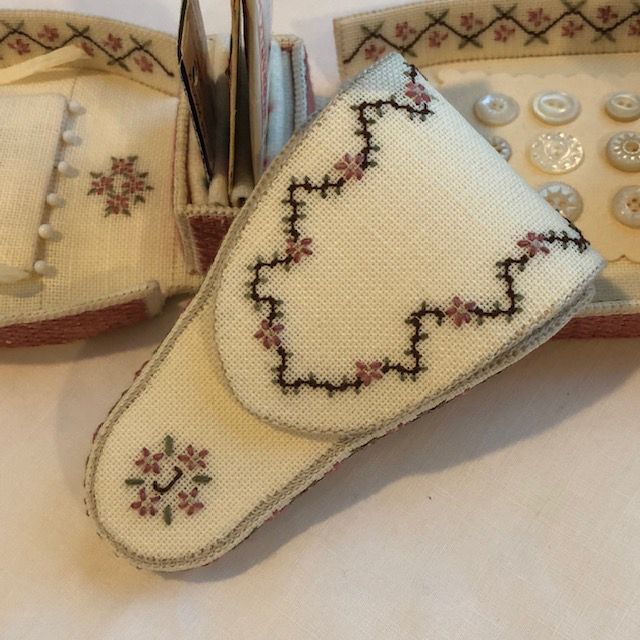 A delicate vine with Cherry Blossoms adorns the sides and flap of this hand stitched and hand finished scissor case. Add your initials to personalize your treasured scissor case. 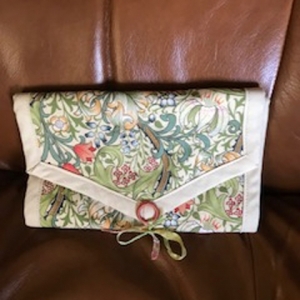 The case is worked with beautiful hand-dyed silk fibers on 32 count linen. A paper mock-up will be constructed in class to help you with the step by step assembly. Bring to class: Magnification and extra lighting if needed.